2. 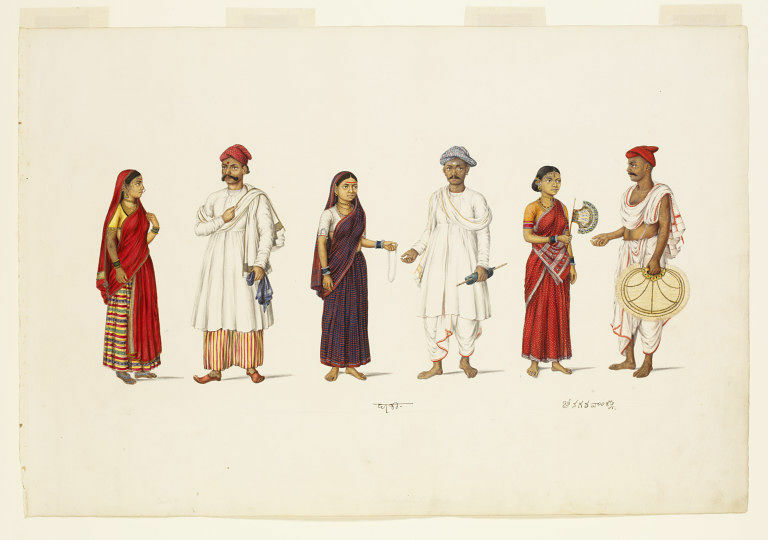 A tailor and housewife; man holding a 'housewife' (i.e. a bundle containing tailoring tools); the woman holding thread. 3. A couple, possibly fan-makers, each holding a fan. 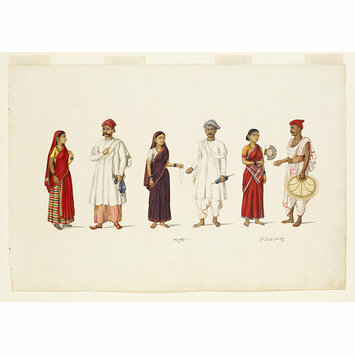 One of a volume of thirty folios depicting castes, occupations, methods of cultivation and procession scenes.